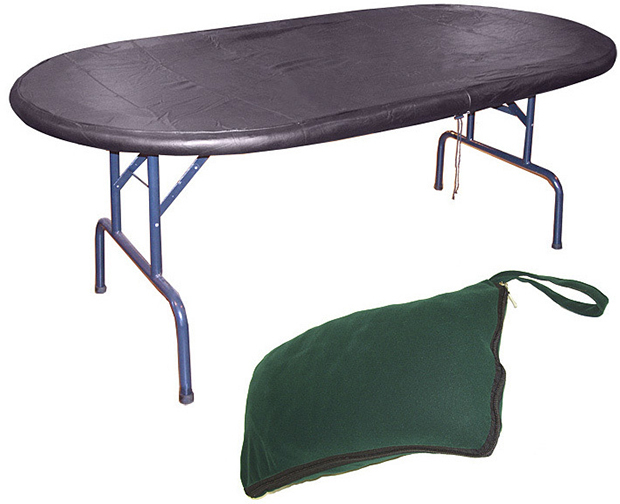 This is a black heavy duty nylon Hold'em Poker Table Dust Cover (Fits Up to 48 inch x 92 inch Tables). It easily slips over the top of your table and secures easily with an elastic band around the cover. This item also includes a carry bag to store the cover when not in use. This material does not stretch, so it will not work well on tables larger than 48 inches X 92 inches.